Being a skilled practitioner does not automatically mean that you are prepared to successfully operate a Moo Duk Kwan® certified school or a certified teaching program. Many skills that a school owner needs have nothing to do with being a practitioner. To achieve your personal goals, empty your cup and endeavor to expand your skill set to include business savvy by seeking out business knowledge and entrepreneurial insights that can help support your opportunity for success. Expanding your martial art school business skill set can help you create the most rewarding and gratifying opportunities in which to employ your technical expertise and skills. How can you acquire business education to help you run your martial art school or teaching program successfully? Think about the specific things you will be doing running your school and contemplate where you can acquire useful information about those things in order to assure you are employing best practices in your school's operations. Here's a partial list of martial art school owner skills that you'll need. So where can you get "just-in-time" practical education about the specific skills that will help you achieve your personal goals through the operation of your martial art school? Valuable, focused and pragmatic education, but martial arts school ownership is not typically offered in traditional vocational schools so this kind of education may only be available as an apprenticeship program in an existing martial arts school. Ask your instructor. Some school owners hire students who express a goal of being a future school owners and train them about the ins and outs of running the school's front office and this experience is invaluable for a future school owner. Self Study via Books, Media, Websites, etc.? Valuable, economical, readily available, TOTALLY NECESSARY and best suited for those to who enjoy and thrive on self-study and those who know how to "read between the lines." Valuable, quick, focused and economical. Martial Art School Business Seminars? Valuable, practical, focused, costs ranges from economical to expensive and may require travel and related expenses. Martial Art School Owner Mentoring? Valuable, practical, powerful for assuring educational improvement. May be sustained in-person or remotely via technology. Some school owners hire students who express a goal of being a future school owners and train them about the ins and outs of running the school's front office and this experience is invaluable for a future school owner. Martial Art School Service and Product Vendors, Consultants? Think of this as "Vendor University" where you can learn valuable, practical, focused educational information. Some offerings from vendor service providers or consultants may not be applicable to Moo Duk Kwan® schools and/or smaller schools due to the discipline and cost required to implement them. Costs for different solutions can range from economical to expensive and the value of the offering depends on the personal goals of the school owner. HOWEVER, for confident school owners (regardless of your school size) who can "read between the lines," choosing to go through the SALES PROCESS of different vendors (a.k.a "Vendor University") can be extremely informative, educational, quick and economical. This method of self-education requires that you view the experience of "being sold" a product or service as a self-education course. (Or a sparring match?) This means you willingly engage in the sales process with ABSOLUTELY NO PLANS TO PURCHASE. Your only goal is to empty your cup and take note of all the talking points the sales person employs, to experience and take note of the steps they guide you through and to learn and take note of the techniques they employ seeking to overcome your resistance to moving toward a purchase or your objections about pricing, etc. The nature of a "SELLING" experience can be "pushy" or it can be "educational" or "attractive" or "seductive." Many martial art school owners initially resist the idea that they must "sell" to run their school and some steadfastly cling to their perception of selling as being "pushy" and they resist "selling" right up to the day their school fails and closes. Other school owners realize that they do not need to engage in "pushy" selling instead adopt a more comfortable "selling" process that is "educational" or "attracting" and thus compels prospective students toward enrolling. Think about it, regardless of how a successful martial art school owner characterizes what they do, a school with no students is not a school and cannot survive. 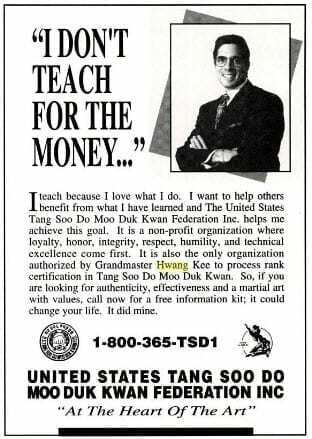 "Attracting" students and "educating" them about the benefits of enrolling is still "selling," albeit possibly a more comfortable process for some Moo Duk Kwan® school owners than a "pushy" sales process. Have you ever been to one of those Free Time Share sales presentations? Those may be the most high-pressure sales environments you'll ever experience and if you can leave without buying a time-share, then you "might" be a suitable student for "Vendor University" self-education. If so, you can easily school yourself and continually update your understanding of new technology offerings, new systemization tools for martial art schools, new sales strategies being employed successfully in martial art schools and much, much more OFTEN FOR FREE. The Vendors do all the hard work of teaching you. Heck they will literally open up your head and pour in their sales pitch if you let them and the best presentations are based on meeting the needs of, and solving the problems of, the prospective buyer. Good vendors understand the wants and needs of their potential customers and will have organized their sales presentation to speak to the wants and need they think their prospective customers are seeking to have met. As a future or current school owner, remember that you are seeking to come away from a sales presentation with a list of the vendor's talking points so that you can evaluate their merits at a later time and consider which, if any, are relevant to your circumstances and or the achievement of your personal goals at your school. Valuable, practical and you may even acquire the essence of mutiple martial art vendors and consultants when you use a school whose owner has attended multiple business seminars, employed multiple consultants and who is an active "Vendor University" student. Valuable, distilled, relevant, economical, information that is very specific to the organization's particular martial art system. So, think you have what it takes to be a "Vendor University" student? If you do, you may just learn a ton of tips and techniques for optimizing your school business practices in about an hour per vendor and you can do it for ZERO COST other than setting aside the time for a learning experience, NOT A BUYING EXPERIENCE. Remember that. Your goal is to educate yourself and and after you learn what you can from this vendor, then there are several more you can learn from using the same strategy for acquiring business education. 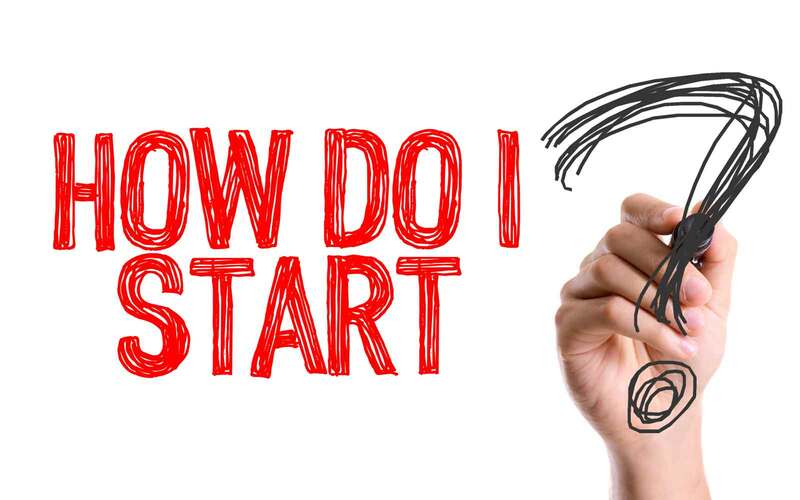 Test yourself by going through some vendor sales presentations and then contemplate what you learned after each presentation WITHOUT BUYING ANYTHING. Later after you have audited multiple presentations, you may want to go back and make a purchase and if you do you will be making a much more informed purchase because you experienced multiple presentations.